Half parting saw is one of the slaughtering electric tools, featured with flexible operation and high efficiency, it is mainly used for half parting. 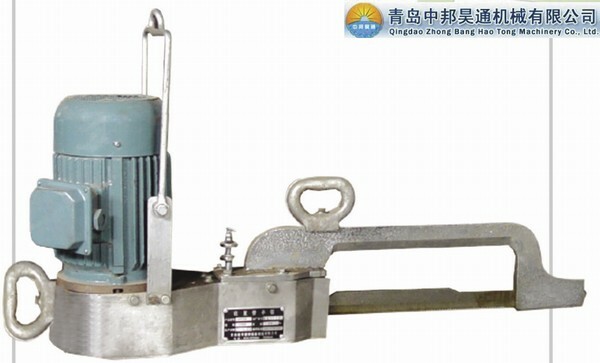 Moreover, the reciprocating saw always being used together with the balancer, where the saw can be hung with equilibrium in the air ,bence it can be moved up and down easily. ZBHT Slaughtering Machinery Co.,Ltd. manufacturing high-quality Reciprocating Half splitting saw and supply OEM, ODM service according to your personal requirement. Our Reciprocating Half splitting saw and other Cattle Slaughtering Equipment is not only good in quality but also competitive in price, welcome to inquiry us about the details of Reciprocating Half splitting saw or other slaughtering machine products and accessory equipment.